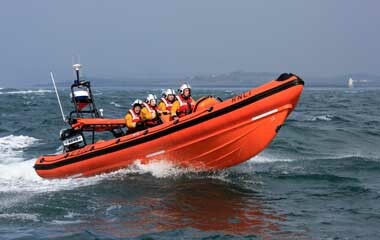 Portaferry RNLI have rescued four men on board a small power boat in Strangford Lough, County Down. The Portaferry RNLI lifeboat rescued four men who were disoriented by fog. The volunteer lifeboat crew at Portaferry RNLI were called out for the second day in a row on Tuesday 29 April, in response to a call for help from four men who had beached their small power boat in Ballyhenry Bay, Strangford Lough, due to thick fog. 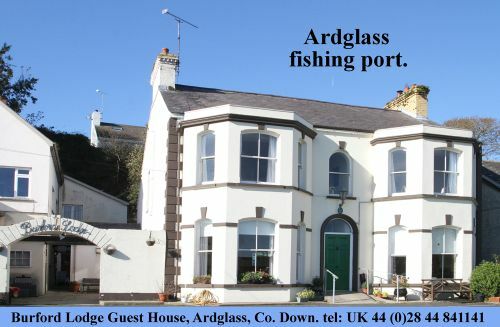 The call was received at 11.10pm and the volunteer crew launched at 11.17pm to the aid of the four men who had set out earlier in the evening to travel from Portaferry to Strangford in County Down. At the time, sea conditions were calm with a slight breeze, however, visibility was extremely poor due to thick fog. The four men had quickly become disorientated due to the fast tidal flow experienced in the area and the extremely poor visibility due to the fog and beached their five meter power boat in the bay. When the Portaferry RNLI volunteer crew arrived on scene, the power boat was refloated and the lifeboat escorted the four men in their power boat to the safety of Strangford Harbour.